Introduction: The 308 nm excimer laser is a widely used device throughout the field of dermatology for many diseases including psoriasis. Although the laser has demonstrated clinical efficacy, there is a lack of literature outlining the safety, efficacy, and patient acceptability of the excimer laser. Methods: A literature search on PubMed was used with combinations of the terms “excimer”, “excimer laser”, “308 nm”, “psoriasis”, “protocol”, “safety”, “efficacy”, acceptability”, “side effects”, and “dose”. The search results were included if they contained information pertaining to excimer laser and psoriasis treatment and description of the safety, efficacy, and patient acceptability of the treatment. 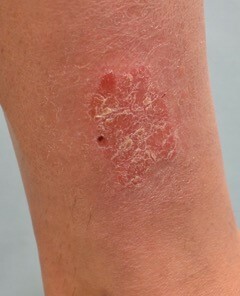 Results: The 308 nm excimer laser is generally safe and well tolerated with minimal side effects including erythema, blistering, and pigmentary changes. It has a range of efficacies depending on the protocol used with several different treatment protocols, including the induration protocol, the minimal erythema dose protocol, and the newer minimal blistering dose protocol. Conclusion: Although the excimer laser is not a first-line treatment, it remains an excellent treatment option for psoriasis patients and has been demonstrated to be an effective treatment with little to no side effects.